Porsche and new owner Volkswagen AG are considering more technical cooperation and vehicle platform sharing. 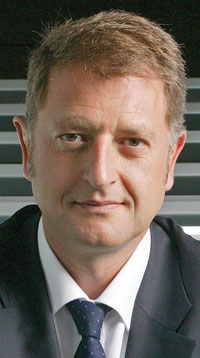 A decision will be made within six months, Detlev von Platen, CEO of Porsche Cars North America, said in an interview. But the plans likely would not be announced until much later. "It makes sense to think about some synergies in terms of research and development, and these discussions are taking place at the moment with VW," said von Platen. VW and Porsche already share a platform for the VW Touareg and Porsche Cayenne SUVs. Porsche is looking for help from its new parent because of the sports car maker's growth strategy and the need to meet tough new U.S. fuel economy standards. Within five years, Porsche aims to increase worldwide sales to 150,000 vehicles from about 75,000 last year. Von Platen said Porsche's U.S. sales would rise to between 50,000 and 60,000 vehicles annually. Meeting that growth target "would require products that we don't have today," he said. Last year Porsche's U.S. sales dropped 24 percent to 19,696 vehicles. U.S. sales peaked in 2007 at 34,693. Von Platen declined to say whether Porsche is considering joint development of a sports car smaller than the Boxster. But he said the company is determined to meet the new U.S. fuel economy standards that would require Porsche to achieve a corporate fleet average of 41 mpg by the 2016 model year. Porsche has petitioned federal regulators to allow it an extra year to meet the standard.